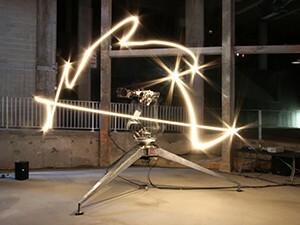 Inspired by the life of the Victorian mathematician, Ada Lovelace, Conrad Shawcross has transformed an industrial robot into a choreographic light sculpture that with its abstract and moving forms embodies both the scientific ideas that Lovelace pioneered and the extraordinary times she inhabited. 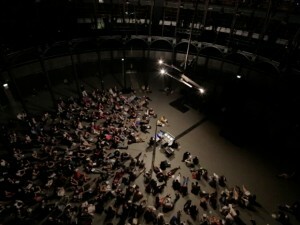 This major commission uses the unique architecture of the Roundhouse, London as its source of inspiration, and continues Shawcross’ long- term investigation into the perception and measurement of time. 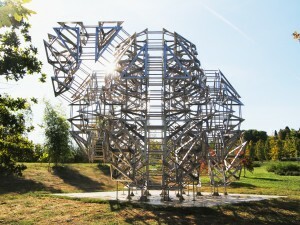 The installation seeks to turn the ubiquitous familiar clock back into the primeval celestial experience it once was. 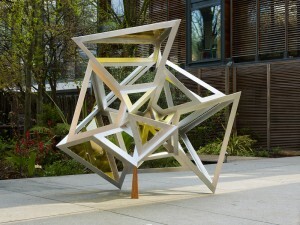 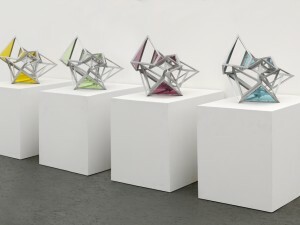 This work continues the artist’s ongoing series that investigates the radiant geometry of the five Platonic solids. 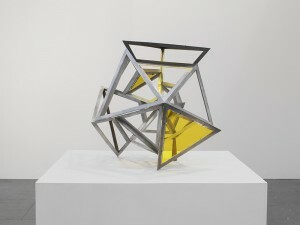 Conceptually driven, these works refer to notions of the Big Bang and the way we envision such phenomena. 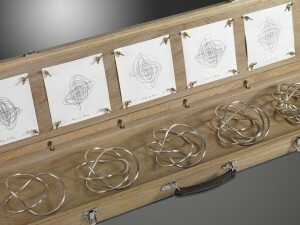 Another way of seeing them are as diagrams of expansion or recession, explosion or implosion.